In his first term in office, Franklin Roosevelt helped pull the nation out of the Great Depression with his landmark programs. In November 1936, every state except Maine and Vermont voted enthusiastically for his reelection. But then the political winds shifted. Not only did the Supreme Court block some of his transformational experiments, but he also faced serious opposition within his own party. Conservative Democrats such as Senators Walter George of Georgia and Millard Tydings of Maryland allied themselves with Republicans to vote down New Deal bills. 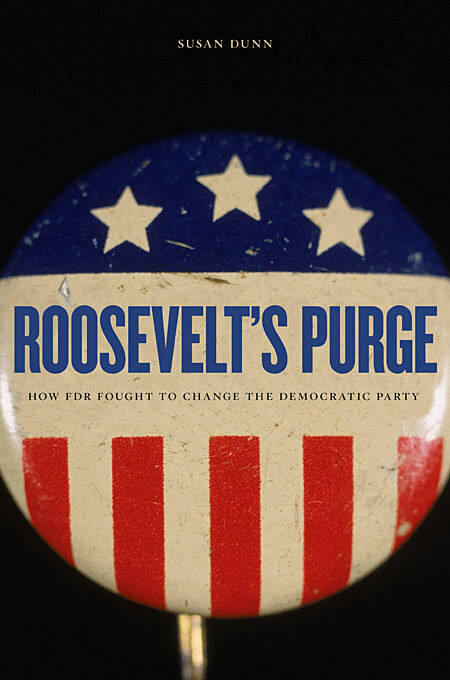 Susan Dunn tells the dramatic story of FDR’s unprecedented battle to drive his foes out of his party by intervening in Democratic primaries and backing liberal challengers to conservative incumbents. Reporters branded his tactic a “purge”—and the inflammatory label stuck. Roosevelt spent the summer months of 1938 campaigning across the country, defending his progressive policies and lashing out at conservatives. Despite his efforts, the Democrats took a beating in the midterm elections. 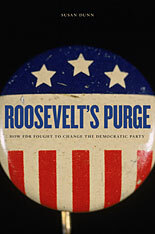 The purge stemmed not only from FDR’s commitment to the New Deal but also from his conviction that the nation needed two responsible political parties, one liberal, the other conservative. Although the purge failed, at great political cost to the president, it heralded the realignment of political parties that would take place in the 1960s, 1970s, and 1980s. By the end of the century, the irreconcilable tensions within the Democratic Party had exploded, and the once solidly Democratic South was solid no more. It had taken sixty years to resolve the tangled problems to which FDR devoted one frantic, memorable summer.